Suffering humbles us. ​Sickness can bring us to despair. Pain crushes the spirit. Hope deferred makes the heart sick. Plans destroyed, unexpected injury, disease, loss, all these sideline us or send us spiralling into depression. In the midst of the interminable blackness, the searing agony, we cry out. "How long, oh Lord?" The prophet Isaiah records a near-death experience of Hezekiah, king of Judah in Isaiah 38 (it also is recorded in 2 Kings 20). Hezekiah was ill and the prophet gave him a word from the Lord. Now, one would expect this to be a word of encouragement and strength, but no, God said to get his house in order, "You're going to die. You will not recover." Great news? Not so much. God was gracious in at least giving him time to get his affairs in order. Hezekiah then did what I think most of us would do. He turned his face to the wall and wept bitterly. But he prayed, and he prayed privately about the matter to God. He reminded God how he'd lived: he'd walked faithfully, with wholehearted devotion, and he'd done what was good in God's eyes. Now, God knew this, but in the depths of his despair, Hezekiah reminded God anyway. Note: Under the Old Covenant, blessing and cursing was sent by God on the basis of obedience or disobedience (Leviticus 26, Deuteronomy 28). More about this in a moment, but for now, back to our story. Lo and behold, Isaiah gets an update. "Go tell Hezekiah," the Lord says, "I've heard your prayer and seen your tears; I will add fifteen years to your life and I will deliver you and this city..."
And God did. Hezekiah's response was nothing short of poetry. It's recorded in ‭‭Isaiah‬ ‭38‬. I've taken the liberty to add line breaks and poetic formatting. On the left is Hezekiah's report, and on the right is what he said to God. and be robbed of the rest of my years? my house has been pulled down and taken from me. and he himself has done this. Here we see a king subjected, first to confronting the reality of his own death, then pleading with God for his life. At the end of it all, he concludes that the suffering was for his benefit. That God, in love, kept him so that he can continue to praise him in the land of the living and tell his children about God's faithfulness. The Lord will save me and we will sing for the rest of our lives. So what's our takeaway? In the midst of our suffering, we pray and weep bitterly. God may choose to answer by delivering us, extending our life on this earth. But far more often, it seems, we do not see a miraculous healing, nor a promise of extended life. We know that Jesus suffered and died. His prayer was also to ask deliverance, but ultimately, he prayed, "Not my will, but Thine be done." His obedience made our salvation possible. Due to the realities of being human under the curse of sin, all of us suffer -- for many reasons beyond illness. 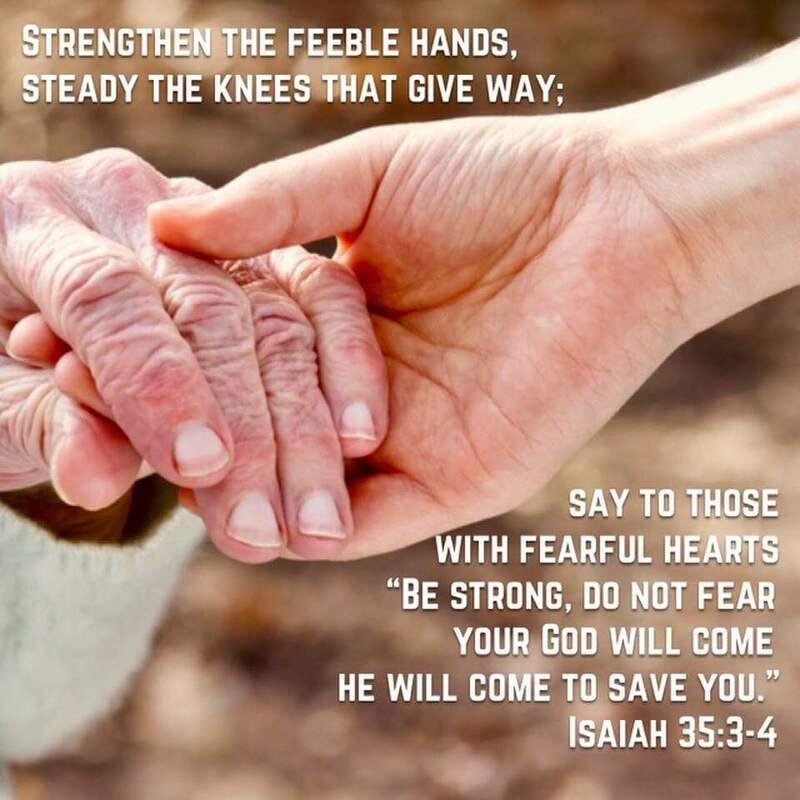 Yet when we, or those we love, may be afflicted by disease and are near the point of death, like Hezikiah, we weep bitterly and plead with God to extend life. This is not wrong. But to demand healing based on our own personal goodness, is contrary to the model given us by Jesus. He lived a sinless life, but God did not answer his request for deliverance. Sometimes, God grants healing and extends life. Other times He does not. This is one of the most challenging tests of faith. Trusting in God's sovereign will. We know that suffering, sickness and disease can come for various reasons, and it is dangerous to try and understand these reasons or declare their purpose with certainty from our time-limited, earth-bound, human perspective. Romans 11:34 says "Who has known the mind of the Lord, and who has been his counsellor?" As Christians, we understand that in death we go to be with the Lord. John Trapp suggests, “...why should a saint be fond of life, or afraid of death, since to him it is as his father’s horse, to carry him to his father’s house?” The sting has been removed by Christ and so can we agree with the apostle Paul, "to live is Christ and to die is gain"? I have lived through many suffering days, and walked at length through the valley of the shadow of death. It was, sadly, often as a result of my own human failings, or the failings of others, and rarely due to suffering for the gospel of Christ. This blog is filled with a decade of my struggle, musing, frustration, lessons and poetry on this very subject. Too often, my response to difficulty was not worthy of the gospel. I did fear evil, I did stumble and fall. This was not a small matter, my extended time of living "in the far country" in my heart and attitude, where I wept bitterly and turned my face repeatedly to the wall and pleaded for God to save me, rescue me, transform my circumstances, deliver me. But God... but God... in his mercy, continued the good work he had begun in me (Philippians 1:6), despite my rebellion and disobedience, regardless of my good works, out of his infinite riches and unsearchable judgment, he showed mercy. He continues the process of redemption begun at the cross in Christ, and the shaping and sanctifying continues to happen over time as I seek after the Lord and respond to his refining fire. I can echo with Hezekiah what God did for me: It has caused me to walk more humbly because of the anguish of my soul. My spirit finds life in Him, the one who restored me to health and let me live. "Surely it was for my benefit that I suffered such anguish." In God's love he kept me from the pit of destruction and put all my sins behind His back. And like the Psalmist, he has given me beauty for ashes, the garment of praise in place of a spirit of heaviness. He has turned my mourning into dancing. So, how should we then live while we continue to walk and suffer on this broken earth in this fragile bodies, these jars of clay? When I look to myself, I grieve. When I look to the Lord, I receive. In very practical ways, each day I must dwell in his presence, soak in his word, and speak the truth of God's promises over my heart. His mercies are new every morning. Great is his faithfulness! We do not have to fear evil (persecution, death, disease, suffering) because the Lord is with us. He is our shepherd, we will not lack. He makes us rest in lush pastures, leads us beside still water, restores our soul, leads us into right living for his name's sake. We do not have to fear evil because he is with us, his rod and staff comfort us, he prepares a table for us, anoints us with healing oil, fills our cup to overflowing. Goodness and mercy follow us while we live and when we finally die, we will live eternally in the house of our Lord forever (Psalm 23).